July 29, 1996 X DOT 25 Music signs exclusive multi album contract with Mythos. Mythos is a duo Downtempo Group from Vancouver. 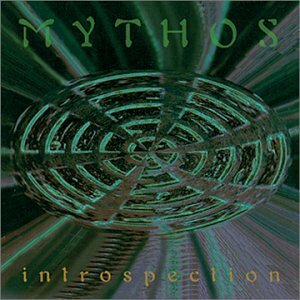 In September 1996, X DOT 25 Music releases "Introspection" by Mythos. Introspection shoots up to #2 on New Age Voice Top 50 in the U.S. and stays there on the charts for 5 months. 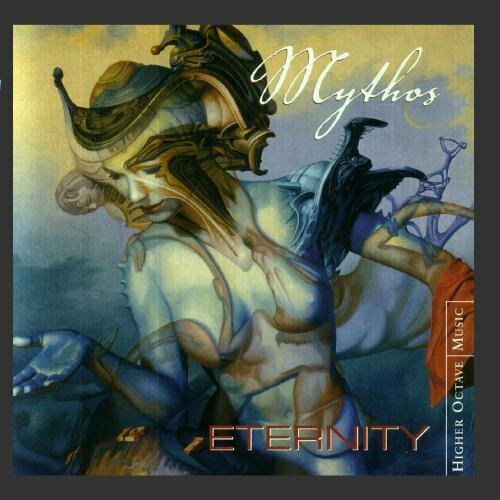 On October 2, 1999, self titled album Mythos is Number 23 and has been on Billboard New Age Charts for 14 Weeks! 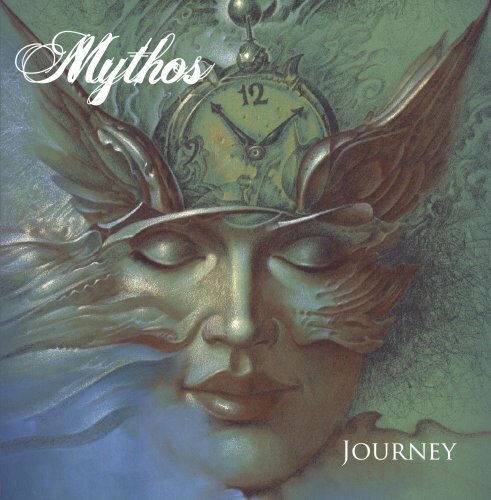 Mythos is a duo from Vancouver, Canada, combining the considerable talents of keyboardist Bob D'Eith (Rhymes with Orange) and guitarist Paul Schmidt (Liona Boyd). Their music has been described as ambient/dance/world. This project was originally a writing partnership between Bob and Paul Schmidt (a talented classical guitar player with a degree in music from UBC) to act as a showcase for them to write for film and television. The first few pieces that were produced took on a unique life of their own. Their Music is an intriguing foray along the ambient/dance/monk-rock path first blazed by artists like Enigma, Delerium, Panagea, Dadawa, and Deep Forest, yet going beyond those artists and expanding the genre. This is powerful music, composed by skilled studio musicians with attuned ears for just the right use of rhythm and space. 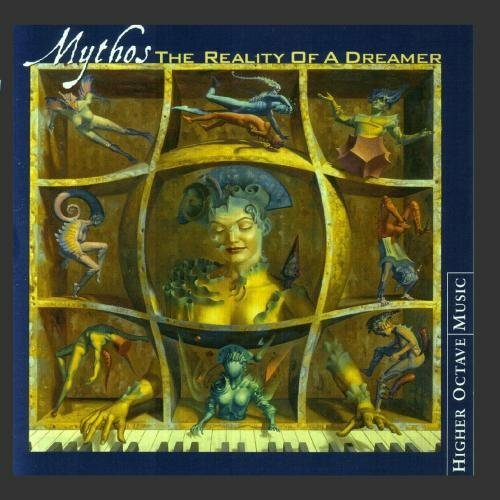 Music of Mythos is a beautifully produced and utilizes hypnotic dance grooves that churn beneath elegant melodies, and it moves impressively through different styles marked by cool, dark synth textures, outstanding classical and acoustic guitar work, thick, punchy bass, and sensuous, chanting vocals. Their music is tailor made for fans of meditative trance/dance music- the captivating mood of Mythos creates an atmosphere that will have you listening to this disk over and over again. With the addition of the musical talents of Rene Worst (bass), Jennifer Scott (vocals), Christine Duncan (vocals), Annette Ducharme (vocals), Paul D'Eath (vocals/Bob's brother and former lead singer of the group Mushroom Trail), Bob and Paul went on to create "Introspection" which was released fall of 1996 with 12 songs and a video for "November Dance". The single reached the top ten on the z95.3 FM charts in Canada and received rotation on over 200 stations in North America. In the U.S., in October of 1996 X DOT 25 Music released their first album "Introspection" which reached #2 on the New Age Voice Charts. In August of 1998 X DOT 25 Music signed a partnership record deal with Higher Octave Music/Virgin Record/EMI providing Mythos with one of the most powerful distribution and promotion networks in the world. "Most impressive is how the album moves so smoothly through the differing styles. The first few songs are very lush and dark, the central songs influenced by Jennifer Scott's vocals, and as it winds down the only sounds to be heard are Paul Schmidt's classical guitar, barren and alone." - Miss Hell - Music Reviews, Music Reviews, Music Reviews. "Call it Delirious, call it Enigmatic, but Mythos' ambient debut album, Introspection is more than background fluff. Although the album is predominantly derived from classical styles, Mythos draws on everything from jazz and flamenco to monkish chants to create a dense cross-section of melodies and rhythms. Unlike many other ambient albums that rely heavily on synthesized music, this one commands the listener's attention because of its predominantly acoustic instrumentation." - Jennifer Van Evra - The Vancouver Courier. Warner Music Canada licensed track "November" for the release of Escapes 2. Escapes 1 sold over 80,000 units and featured such artists as Enigma, B-Tribe, Enya, Mike Oldfield, Vangelis and other international stars. Escapes 2 goes GOLD in Canada in December 1997. In May 1997, Introspection received the Pacific Music Award for "Best Dance Album". The group recently remixed the song "Angel's Weep". "Angels Dance" (song and video) has been released to radio and television. A new CD single is on sale now featuring the new remix, November Dance and a special bonus track. Music placements include the feature "Wounded" and the television show "Due South" (5 songs). 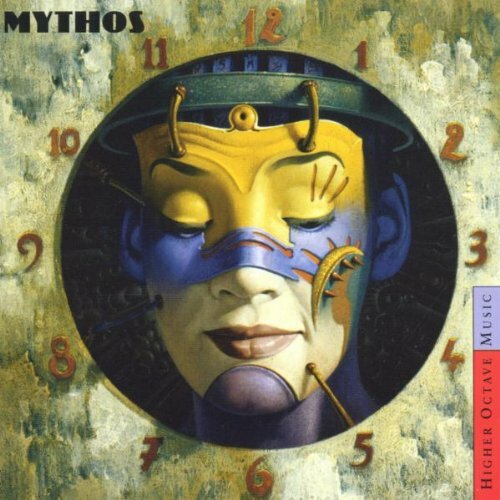 Mythos charted #8 on Rhythm Music MuseLine Top 10 Charts in April 1997. August 1998 - X DOT 25 Music Productions signs Mythos into Virgin/EMI. Instrumentation: Piano, Keyboards, Acoustic Guitars, Bass, Sweeping Female Vocals, Male Gregorian Vocals. This CD is out of print and you are only able to obtain collectors copy on Internet. Music of Mythos is a beautifully produced and utilizes hypnotic dance grooves that churn beneath elegant melodies, and it moves impressively through different styles marked by cool, dark synth textures, outstanding classical and acoustic guitar work, thick, punchy bass, and sensuous,chanting vocals. Their music is tailor made for fans of meditative trance/dance music- the captivating mood of Mythos creates an atmosphere that will have you listening to this disk over and over again. Their Music is an intriguing foray along the ambient/dance/monk-rock path first blazed by artists like Enigma, Delerium, Panagea, Dadawa, and Deep Forest, yet going beyond those artists and expanding the genre. This is powerful music. Paul's thank-you's: Mom and Dad for your support; John D'Eathe; Bob, Nicolette, Molly, Paul, Amin and Zeif Rene. Bob's thank you's: Nicolette, the love of my life; Sheldon, the most amazing miracle; Dad whose continuing support made this project and all of my projects possible; Mom, Paul & Sara; Guy (for the album title amongst other inspiration); my new family, Carol, Joey & Kelsey; Margorie Mabie, Ellen Silverman, Rob and Gerri Karr, Peter Taylor; Paul for being so dedicated to this project and to our dreams; Rosie Owens; Coco Love; Pat, Jennifer and Ilona; Bryon and Craig at the Annex; Larry and Jodi at Turtle Records; Micheline and Bill at SNB and Molly for getting me up every morning. Publishing administered by Avalon Publishing (a division of Camelot Music inc/socan).